In this blog post, we’ll look at the roots of Muay Thai to uncover it’s links with the ancient fighting arts of Indo-China. Our focus will be on Muay Boran, the collective name given to the unarmed martial arts of Thailand, prior to modernisation in the 1930’s.Ai? ?Each of the arts under the umbrella term of Muay Boran, had their own style guards, striking techniques and stances. The distinctive regions of the Siam (Thailand) empire each had their own fighting styles and during the mid to late 19th century, fighters from each region would be sent by their Lords to Bangkok to compete in tournaments to establish who the best fighter was. 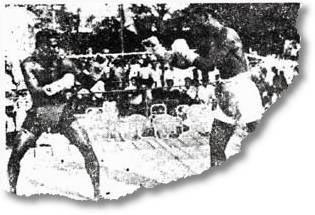 Over time, such gatherings saw the different regional styles merge during the Rattanakosin Era and became generically referred to as Muay (meaning Boxing or pugilism). Despite this, regional styles still existed and were practised in various parts of the country. Buddhist monks carried on the teaching of Muay as a fighting technique for unarmed warfare and it also became a popular combat spectator sport for all levels of society. As well has having a broad appeal to people across the strata of society, Muay also had it’s royal connections too. The most skilful and respected of fighters were often employed by royalty of the day to train soldiers and other notable courtesans in the art of Muay. 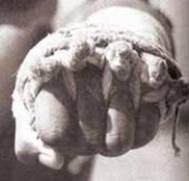 Moving in to the 20th century saw the introduction of the boxing ring and codified rules, including the necessity for fighters to wear western style gloves and to move away from the heavily wrapped hemp rope style shown below. During this time the old regional styles mentioned above began to die out due to a combination of being banned and being unsuitable for the more modern matches. It was common for Muay Boran fighters to tie knots in to the hemp rope used to wrap their hands, for added protection and to make their punches more abrasive and harmful to their opponents. As a result of the new rules and the introduction of more protective equipment, the new style that began to emerge during the 20th century started to become known as Muay Thai, with the older style being labelled as Muay Boran (or ancient boxing). 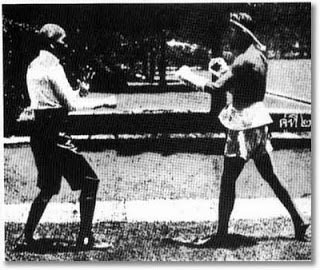 Today, Muay Boran is rarely taught due to the techniques not being able to be used in modern competition. As a style, Muay Boran required fighters to be extremely agile, fast and flexible. The stance was different to that of Muay Thai, with it being wider and lower and more akin to the traditional Chinese and Indian Martial Arts. The simple rule base excluded eye gouging, grappling, hitting a grounded opponent, hitting the groin and hair pulling. There were no weight categories or formal rings that we are familiar with today. With regards to the timing fights, and something that can still be seen today, a coconut shell with a hole in was placed in water and the fight lasted until the shell thoroughly sank and became immersed in water. This was followed by the beating of a drum to signal the end of the round. 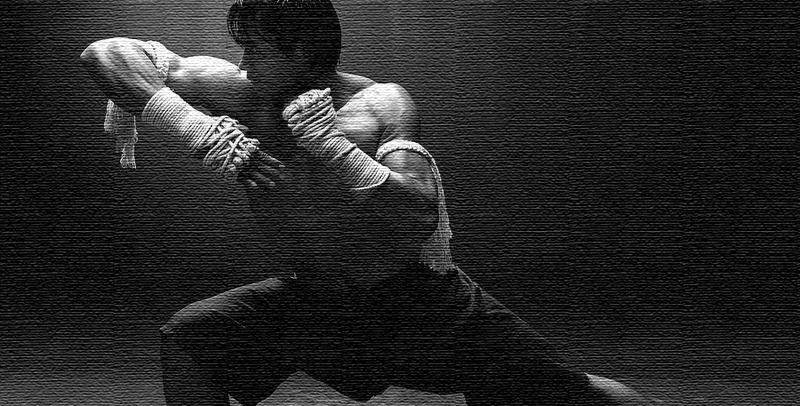 The profile of Muay Boran was raised again fairly recently due to the 2003 film, Ong Bak, featuring Tony Jaa (see header image). The Muay Boran fighting styles heavily featured in this movie and was probably the first time it had been seen by the majority of its western audience. This entry was posted in Martial Arts History and tagged Muay Boran, Muay Thai on 30.07.2014 by MMAFightwear.